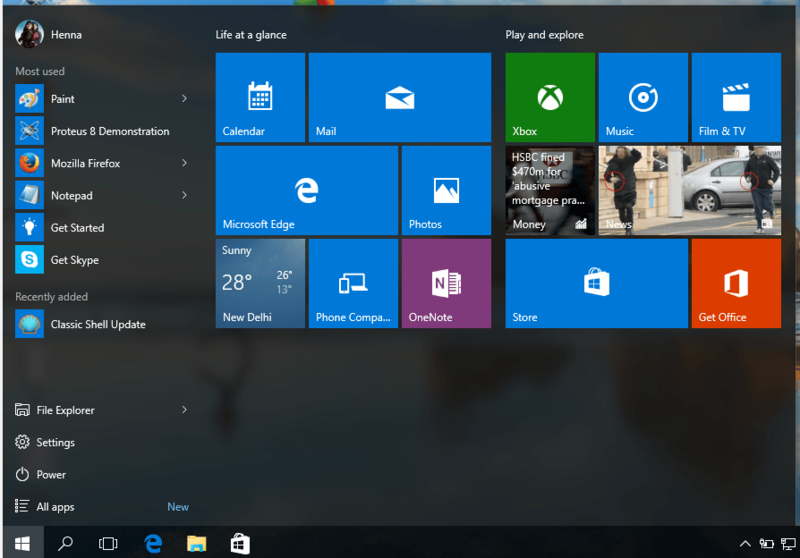 Shift search box from task bar to start menu in windows 10: – Windows 10 is released in a whole new look.You might have noticed that in windows 10, search box has been brought to the task bar. Some of us find it difficult because unlike the windows versions we have been working with, the task bar of the new version takes up too much space.Also many users does not like to hit or click on the search icon each time when we want to search something. Now you have the following task bar and start menu. If you wish, we can move the search option to the start menu and make our start menu look similar to the previous versions.Unfortunately windows 10 does not provide an option to move search box or search icon from task bar to start menu.Please note that windows 10 have an option whether to have a search box or a search icon or none on the task bar. But if you cannot proceed without a search box in the start menu, we have to go for some third party tools like Classic shell,start10 etc. Here i would like to introduce before you the tool named ‘Classic shell’ and the way how we can make use of it. We will discuss it because the other one is not free. 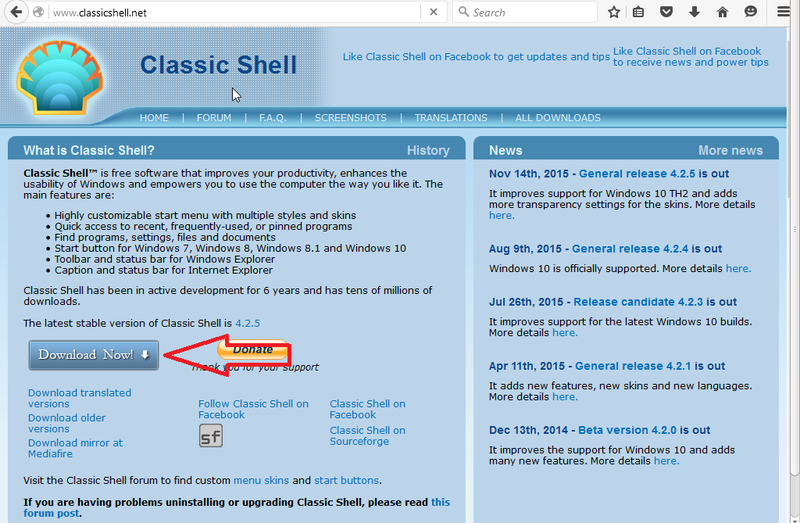 We can download the classicshell from its homepage.Click here to go to the download page. Click on the ‘Download Now’ button to download the setup file. Run it.Now we have classicshell installed on our computer.Now you have the modified start menu. 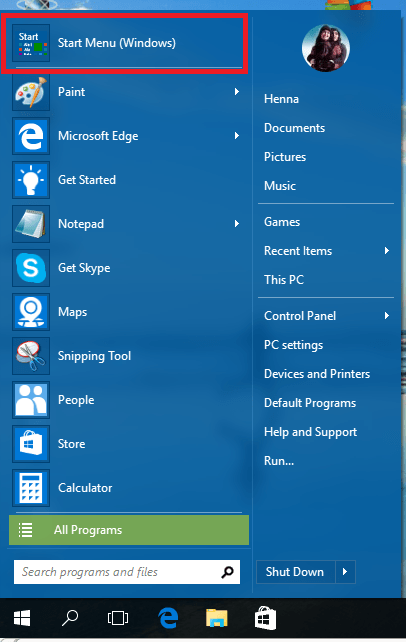 If you need your old start menu , just click on the ‘start menu(windows)’ option in the start menu. 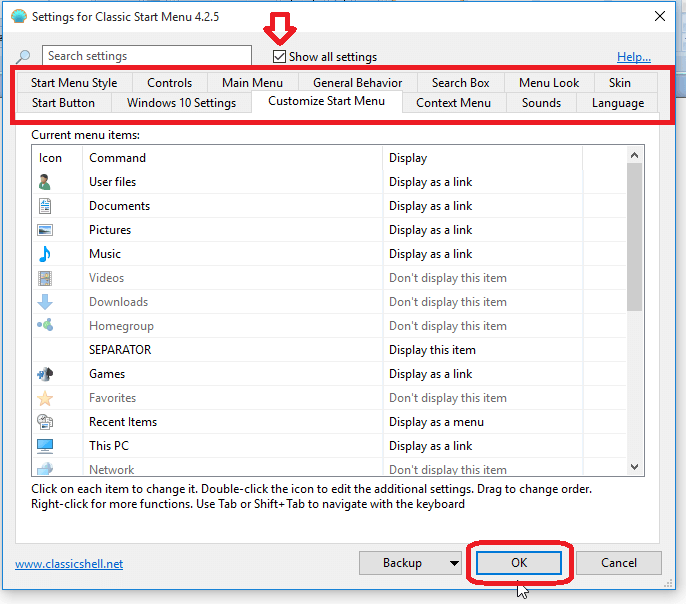 You can launch classicshell dialogue box on clicking the start button. 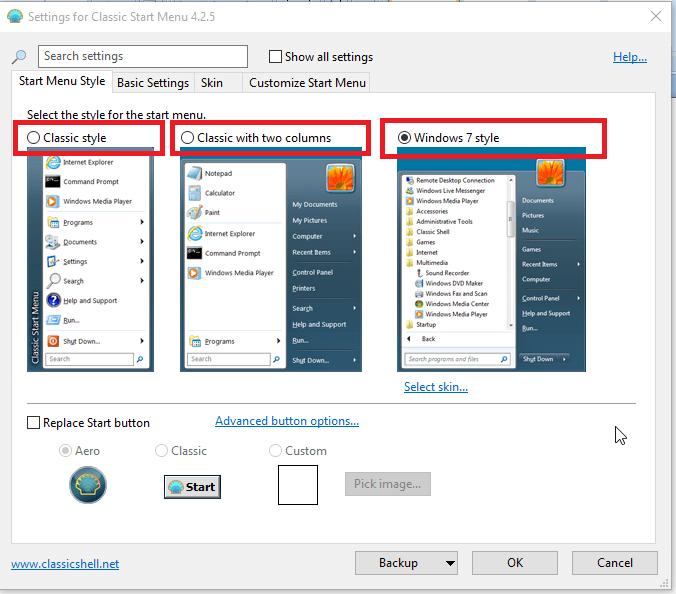 Here you can choose from the styles such as classic style,windows 7 style etc .If you are in love with any of the given styles, you can have it in your all new windows 10 too..
More options on customizing your start menu are also available in classicshell on checking the ‘show all settings’ check box on top. Now enjoy the different look of your start menu..!